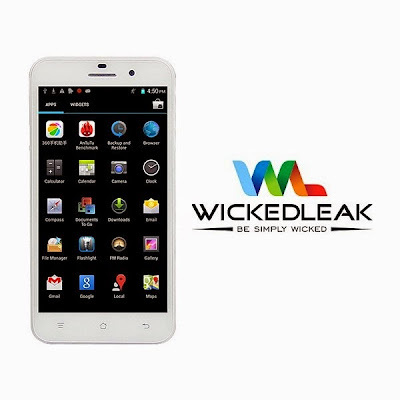 Wickedleak is one of the youngest players in the Indian smartphone market. They have recently launched Wammy Neo, the latest offering by Wickedleak. Wickedleak Wammy Neo is the cheapest Octa Core smartphone in India. It has a 5 inch IPS HD display with 5 point multi-touch, 1.7 GHz octa-core MediaTek MT6592 processor and runs on Android 4.2 JellyBean and Wickedleak is promising Android 4.4 KitKat update. Its also the only device in this category packing 2GB of Ram with 8GB which can be further expanded via SD card. There’s a 13MP rear camera along with a 5MP front facing camera for selfie lovers. Wickedleak is also launching Wammy Neo with Aquaprotect Water Resitant Technology which is Optional. Wickedleak Wammy Neo is available at a price of Rs. 11,990 and the Aquaprotect Water Resitant model is priced at Rs. 13,490. And.it can be purchased from their Wickedleak.org official website.